Remembrance Day on 11 November marks the anniversary of the armistice which ended the First World War (1914–18). Each year Australians observe one minute silence at 11 am on 11 November, in memory of those who died or suffered in all wars and armed conflicts. The Flanders poppy has long been a part of Remembrance Day and every year I ensure I support the RSL through a donation and wearing poppy. 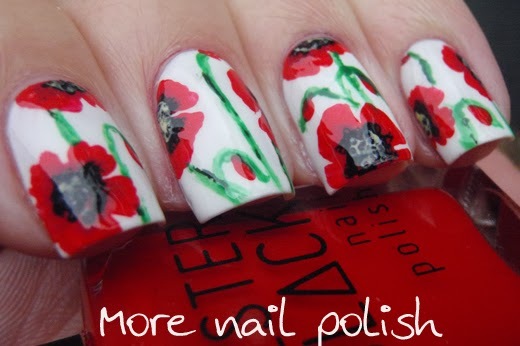 Remembrance Day was the perfect reason to paint poppy nail art, a design that I can't believe Ive never painted before. 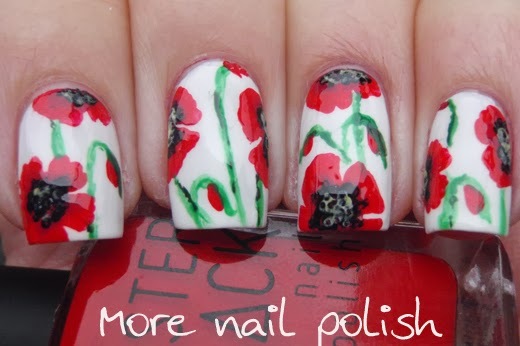 I started with white base using Ozotic Mr Big White and free hand painted the poppies using Kester Black Cherry Pie. 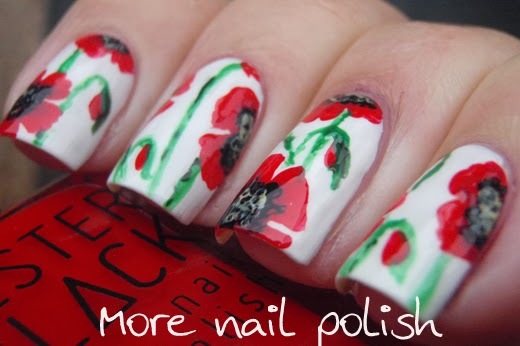 The centers of the poppies were dotted in with Ulta3 Black Satin and Honolulu and the green stems were painted with Ulta3 Frog Prince and Lucky Bamboo. 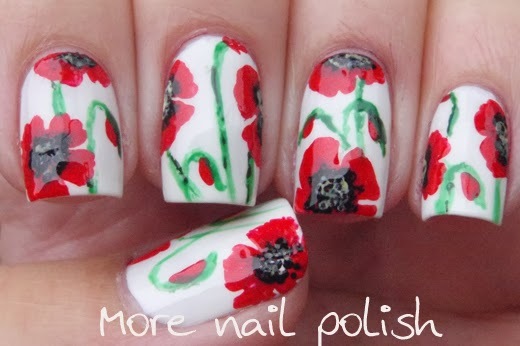 Absolutely beautiful, both as nail art and spirit. beautiful and so well painted!